Sorry for the lack of updates, my mother was in town visiting and I have been drinking and eating my way around Italy… being a good host is oh so hard. We were given the unique opportunity to go to Verona to attend the world’s largest wine convention, Vinitaly. Arriving at the front gate after a 2 hour car ride from Parma, my palate was cleansed, my mind cleared, and my desires ready to begin drinking some delicious wines (the fact that it was 10am was somehow irrelevant). I went prepared, with business cards and resumes in hand, ready to meet future employers and drink my way into professional success, fortunately within this context as the wine began flowing, my ability to talk business with Italian vineyard owners was further elevated. Ah, the pleasures of alcohol. This year, there were over 5,000 vineyards present representing all 20 regions of Italy. We only made it to a couple of them because the event was spread across almost an entire square mile of ground. Wine counters set up so beautifully mimicking real restaurants, serving delicious and rare wines all with one polite request “Posso assaggiare?” (May I taste?). The only issue I found was the slight lack of food. Picture the scene, thousands of drunk Italians and various other internationals, running around a huge wine convention happy go lucky like an alcoholic at an open bar, with only crackers to eat. Granted you could buy sandwiches at the designated areas, but who has time to wait in line??? Too many wines to try! Nonetheless, some good contacts were made, and some delicious wines were tasted. My particular favorites were the Brunello di Montalcino, a very expensive and delicious wine from the Tuscan countryside and of course, Passito di Pantelleria, a delicious dessert wine produced on the island of Pantelleria off the coast of Sicily. I was thoroughly satisfied at the end of this day, even if my liver says otherwise. Well it’s almost that time of year here in Italia, the Easter holidays. Despite the fact that I am the lone Jew in Parma, the festive air is nonetheless charming, and of course appetizing. Being that this is a major Catholic hub, Easter is kind of a big deal out here. Not necessarily for religious reasons, but for culture, family, and of course delicious holiday eating. Beginning somewhere in mid-March, you can begin to see the immersion of the famous Uova di Pasqua (the Italian take on the Easter Egg) in specialty shops, grocery stores, and markets alike. 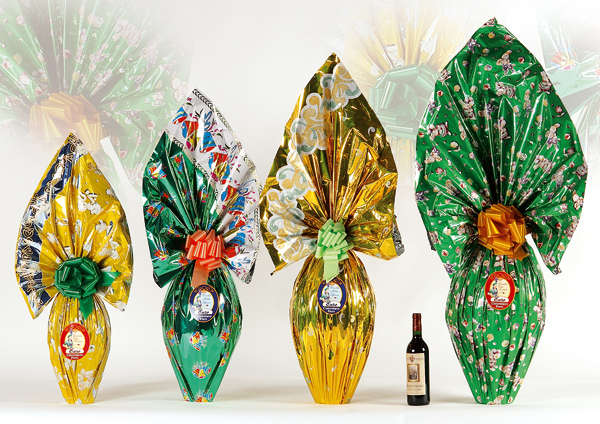 This festive treat is basically a large chocolate egg (dark, milk, hazelnut, etc) filled with a little surprise inside. It is a typical “I don’t really care about you but I’ll give you this Easter egg to be cordial” type gift. They make the shops look pretty as they are usually wrapped in colorful cellophane. 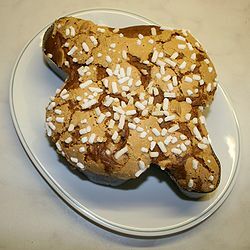 Another typically Italian Easter treat is the Colomba Pasquale (The Easter Dove) cake that has a similar taste and texture to familiar Christmas cakes such as Panettone or Pandoro. These are traditionally made with candied oranges and almonds, and of course a heartstoppingly high amount of butter. Nonetheless delicious. They are supposed to represent the shape of a dove, but I didn’t realize this until I looked it up. I always thought it was a cross. 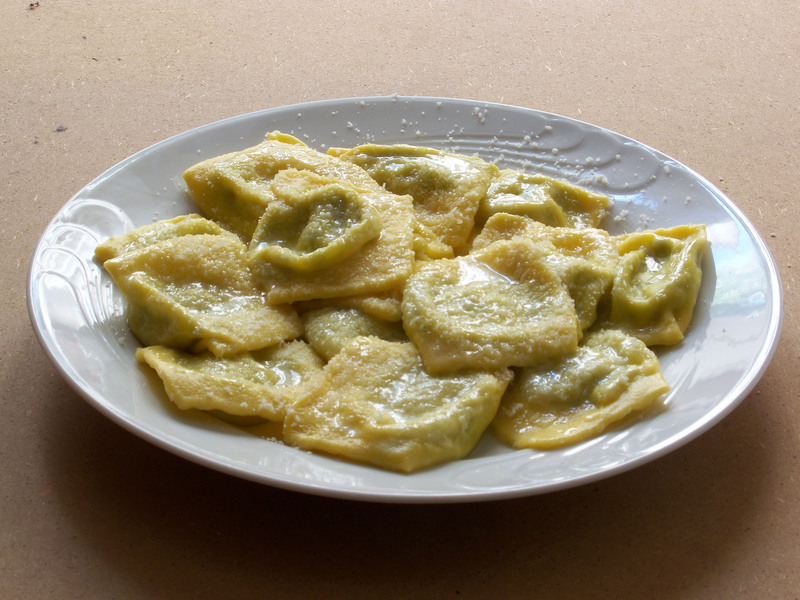 But of course, the true essence of Easter is the meal itself, on Sunday April 4th, Italy becomes the country of lamb, as this is the traditional Easter meal. Roasted lamb is SO goodddddd! However, unlike Christmas, the Easter meal is usually less formal and spent with friends. My Italian friends say “Natale con i tuoi, Pasqua con chi vuoi” which literally translates to “Christmas with the parents, Easter with whoever you want”. In fact, many Italians actually go out to eat in restaurants on Easter to save energy and spend some quality time being social with others. Nonetheless, I am keeping up my gym routine because in anticipation for the holidays it is always a good idea to burn off a few extra calories? No? Happy Easter Folks, or as they say in Italy, Buona Pasqua! I leave you with a recipe I found for Roast Easter lamb with Fennel and Potatoes. Yum. P.S. This is also my 100th Post!!!!!!! Thanks for reading! Food Inc., directed by filmmaker Robert Kenner, is a truly astonishing documentary about the hidden truths of the food industry, and how these big businesses shield American consumers from the ugly inedible face of the foods we have come to love. I strongly recommend checking this one out. I’ll be at the Newport Beach Film Festival eagerly waiting to see it. Alright folks, So all this promo that I’m giving to various vegan inspired diets and environmentally friendly eating is (and I must be truthful) somewhat contradictory to my own eating habits. Sure, you might find me at a late night diner after a long night munching on a cheeseburger…..but not anymore! Anyone willing to take on the challenge with me? His film is a moving piece about the creation and destruction of a community garden started in South Central Los Angeles. The 14 acre garden was created as a way for the community to heal after the destruction of the 1992 L.A. riots. Not only did the garden created by this community allow it to be self sustainable (environmentally friendly, growing its own food) but it also created an extraordinary sense of community that was lost to violence in the years prior to its creation. Unfortunately, the city of Los Angeles decided to bulldoze the garden due to building plans, however the true reason for the garden’s destruction remains controversial. Either way, dinner with Scott Kennedy was a truely wonderful experience and I am so happy that I was invited to meet with him. Below is a trailer for the film. I highly suggest you check it out. So over the holidays I was lucky enough to go to Cal-a-Vie spa in Vista, California. Aside from living a week in the lap of luxury, the part about this spa that truly intrigued me was the food. OK, so SPA food is always the go-to phrase for low-cal and healthy diets, usually consisting of a monotonous menu filled with bland poached chicken and steamed generic vegetables….but not at Cal-a-Vie. Executive Chef Jason Graham of Cal-a-Vie was nice enough to give me an insider’s view of his kitchen, and even told me a couple of quick tips on how to make food healthy without compromising taste. Let’s put it this way, cheesecake shows up on his “spa” menu more than once! 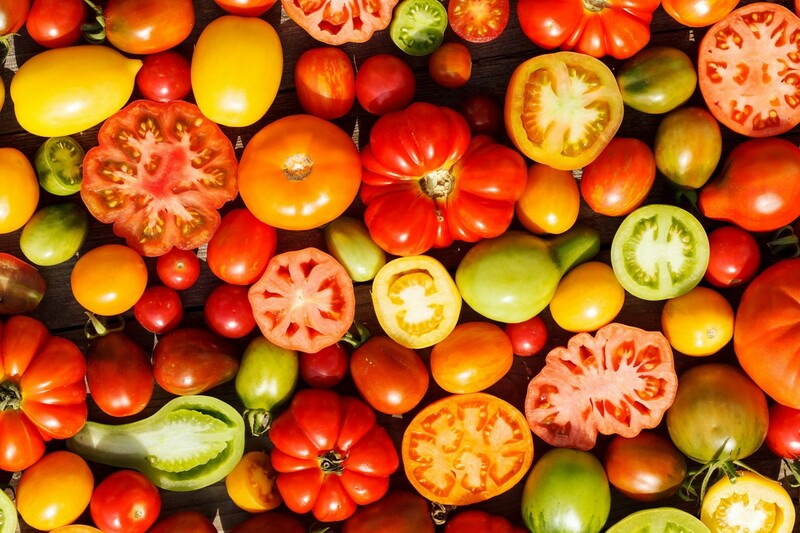 The chef also makes it a priority to use seasonal fruits and vegetables that he purchases at farms in the local area. It was the freshest most flavor rich produce I have had since my excursion in Italy. Check out the video below for a walk through the Kitchen. P.S. sorry for the huge delay on making entries. My brain escaped me over the past few weeks.